Gordon Setter, large breed of dog, developed in Scotland during the 1600s is a member of the setter family that includes the Irish Setter and English Setter. 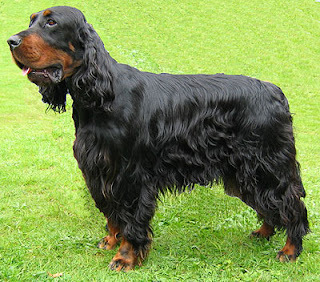 They got the name ‘Gordon Setter’ because it was the 4th Duke of Gordon who officially recognized this breed. They were mainly used to hunt gamebirds and because of their persistence and capabilities they are able to hunt in difficult weather conditions, both in water and on ground.